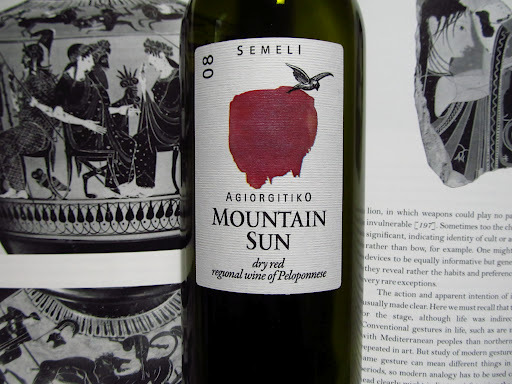 Semeli Wines was founded in 1979 by George and Anna Kokotos. It is a boutique estate located in one of the most celebrated crus of Nemea and focuses on producing high quality, handcrafted wines. George himself designed their unique tank feeding system which separates the grapes and pours them, using only gravity, to 24 different vinification vats, which creates “24 parallel, small wineries”. Dark red-violet in colour, aromas of ripe cherry, sweet thyme and traces of chocolate swirled about in my glass. Tart cherry and lush black currents were underscored by dry, toasty oak elements in the medium body. Spicy black pepper, earthy tobacco and bitter chocolate notes intertwined in the lengthy finish. Friendly and smooth, this is a mellow glass great for the table.